I am violating my rules with regards ‘old albums somewhat- as this is not a pre-1985 release- but Midnight Oil’s sixth album saw the Australians create their finest work. An album that was a concept based around the struggles of Aborigines, tracks like Beds are Burning are stunningly powerful and evocative. 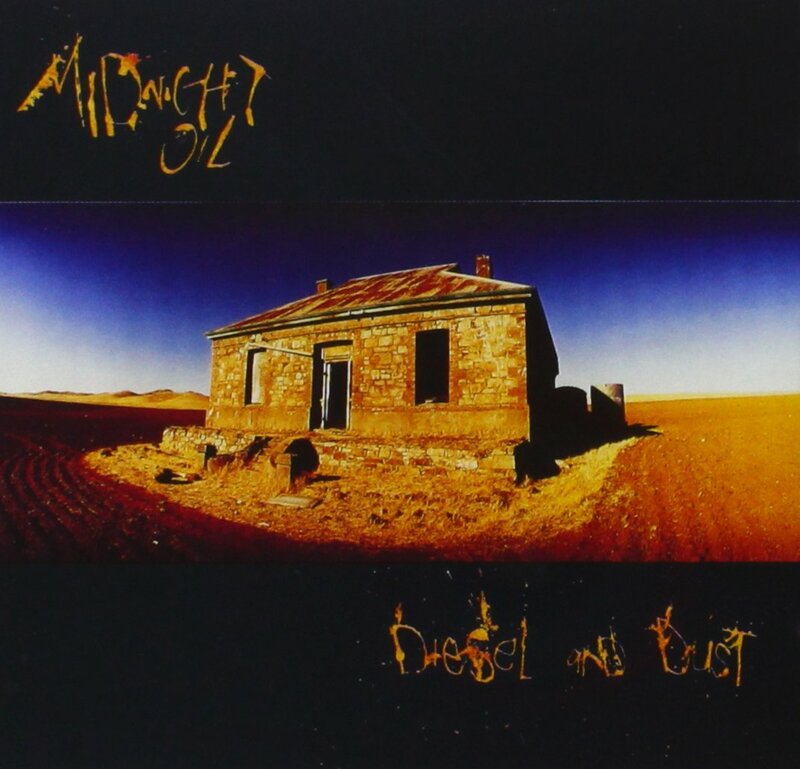 Regarded as one of the best Australian-made albums ever- and one of the 1980s' finest creations- Diesel and Dust is a calling-to-arms and a campaign for change. Amidst the powerful politically-led numbers such as Beds are Burning mingle with passionate cuts Dreamworld and The Dead Heart. Front-man Peter Garrett is at his most essential on an album that differed from previous Midnight Oil work. Whereas previous albums were harder-edged and esoteric; Diesel and Dust is more universal and varied in its ambitions. An album that matched left-wing messages with a populist sound and nuance; few bands and albums have achieved as much. The band insisted royalties from the album went to the indigenous Aborigines. If you have not investigated this truly remarkable album that ensure you check it out. Far from sounding dated or insignificant, it is a creation that grows more impressive and startling with age. Boots’ Jordy Asher is a former New York nightclub D.J. who has been performing for two-and-a-half years now. AQUARIA is a success because of its collaborative spirit as opposed to Asher’s unique talents. Whilst a terrific writer and talent, his vocal is a little limited; this is evident at various stages but never a major drawback. The Angel Deradoorian-backed title track boasts the immortal line “Don’t cross the river with an alligator underneath your knees” and is one of the album’s highlights. Elsewhere, the subject matter shows a different shade of black on Only- complete with funereal beats and eulogistic piano lines. The music never sounds suppressive and dictatorial in its darkness: It is a suffocating world for sure, yet one that shows beautiful chinks of light and plenty of heartfelt passion. Having produced and moulded Beyoncé’s fifth album- and created a narrative and fairytale-like gem- Asher is no stranger to atmosphere and quality control. With barely a weak track on AQUARIA you get ghostly vocals (Brooklyn Gamma) and introspective beauty (Only); romantic bleakness (Bombs Away) and C.U.R.E.’s insistence that there’s “cash in the rat trap”. Whilst lacking a certain depth and variation of ideas it is an album that shows a step forward for Jordy Asher. Definitely recommended. Exploding onto the scene in 2003, this Mercury prize-winning album is a remarkable feat indeed (considering Dizzee was 17 when the album was released). Tireless, staggeringly inventive and packed full of ideas, quirks and power; it is an album that has not been topped in its sense of scope and ambitions. The maturity on the album is stunning to behold. Worrying about growing up and peers’ lack of maturity; Dizzee Rascal tackles the issues with a real dignity and strength. Like a weaving boxer, the phrasing juts and ducks; the beats are always intoxicating and perfectly articulate the danger and flair of the streets. Highlighting the irrationality of youth and the mechanics of modern-day society, Boy in da Corner’s moist dizzying moments- Brand New Day and Jus’ a Rascal especially- you get that mix of emotional outpour and hard-hitting truths. The dense production and scattershot beats recall the likes of Bomb Squad whilst Dizzee’s East London delivery could derive from nobody else. If you do not choke back a tear during Do It!’s mortality-and-me seduce- “If I had the guts to end it all, believe -- I would”- then you may be technically dead. Not since The Bends has an album that deals with so much emotion ended with such a redemptive and hopeful line- Do It! closes with “You can do anything”. One of the decade’s most influential Rap albums, it shook up the (relatively tame) scene and forced contemporaries to up their game and behold a rare genius. DOWNLOAD: Brand New Day; Jus’ a Rascal; Do It! Few critics would have expected Suede to top their 1993 self-titled album. Dog Man Star not only surpassed that album; it ranks as one of music’s all-time best. Released in the midst of ‘Britpop’ the album eschews its virtues and introduced a wide array of influences and subjects. With its grand, orchestral sweeps and theatrical gestures, the album shook-up the face of 1990s guitar music. Messy at times; the inimitable guitar notes of Bernard Butler- he and Brett Anderson were at loggerheads during the recording- see The Power and Still Life packed with classic-Suede musicianship. From This Hollywood Life’s grit-and-grab to The Wild Ones’ gorgeous balladry and you have an album that fully deserved its accolades. Typically swooning, tragic and romantic, Suede created their chef-d'œuvre. For an album plagued with strife- Anderson’s drug battles and Butler walking out before completion- it is remarkable the album is so lucid and consistent. Dazed and dreamy, it matches Rumours in a sense (an album saw band squabbles result in a work of pure wonder). Not just a relic of ‘90s bliss, it is an album that is influencing and enforcing modern-day guitar Rock ‘n’ Roll. In the words of the immortal The Wild Ones: “We'll be the wild ones, running with the dogs today”.